Outreach Project - Toiletry Drive! 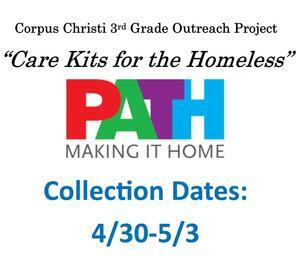 Collection Bins will be in the Narthex from 4/30 through 5/3. 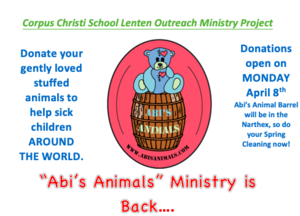 Donate your gently loved stuffed animals to help sick children AROUND THE WORLD!